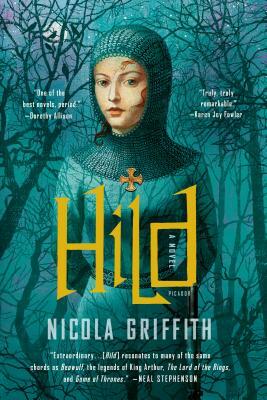 The story of one of the most powerful women in the middle ages, Hild has a gritty, almost tactile sense of place, deft use of language, and nuanced, complex, and fascinating characters. A great choice for fans of Tolkein and Arthurian legends, but be warned: This isn't T. H. White's Middle Ages. Game of Thrones fans will want to read this as well. In seventh-century Britain, a new religion is coming ashore and small kingdoms are merging, frequently and violently. Hild is the king's youngest niece, with a glittering mind and a natural authority. She is destined to become one of the pivotal figures of the Early Middle Ages: Saint Hilda of Whitby. But for now she has only the powerful curiosity of a bright child and the precarious advantage of a plotting uncle, Edwin of Northumbria, who will stop at nothing to become overking of Angles. Hild establishes a place for herself at his side as the king's seer, and she is indispensable—as long as she doesn't lead Edwin astray. The stakes are high—life and death—for Hild, for her family, and, increasingly, for those who seek the protection from this strange girl who seems to see the future. Drawing from the few records history has left us, Nicola Griffith has brought the young Saint Hilda's harsh, but beautiful, world to vivid, absorbing life.